High school English teacher and mom Eileen Riley-Hall co’ taught autistic children in college summer camp and has worked with special needs students for over 25 years. However, she had never suspected her own daughters’ diagnoses of autism spectrum disorders (ASD). Upon discovery, she knew her life had drastically changed. The New York native Riley-Hall, rummaged store bookshelves for answers—something that would reassure her that it would be okay. She only found overwhelming clinical books and discouraging doom and gloom books, which left her dissatisfied. After researching the disorder and learning which therapies worked for her, Eileen began to jot down her findings. She learned that the diagnosis isn’t a prophecy; autistic children can go on living normal and fulfilling lives. She committed herself to the goal of writing her own book in hopes that it would give support to parents in similar situations. 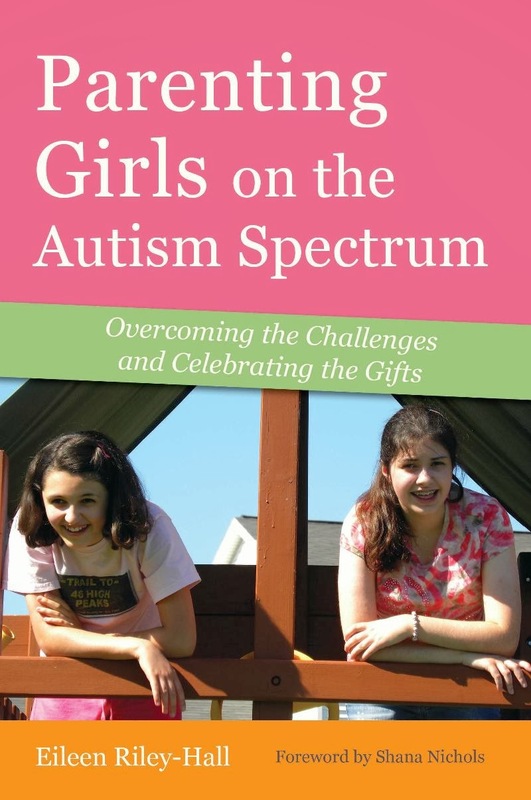 She has done just that with her recently released book, Parenting Girls on the Autism Spectrum: Overcoming the Challenges and Celebrating the Gifts. Recently interviewed by anchor Stephanie Grady of FOX23 News, Riley-Hall describes her story of parenting girls on the autism spectrum given that ASD is much different from that of their male counterparts. The doctor diagnosed her youngest daughter, Caroline Grace, with autism at two years old. When Elizabeth Anne, Lizzie, was just five, the family also discovered that she had pervasive developmental disorder (PDD), now reclassified as Asperger’s syndrome (AS). “My first thoughts were that my children would be incapable of doing things that other children could do,” said Riley-Hall. Parenting special needs children, as Riley puts it, can leave parents feeling defeated. The doctor said Caroline had severe cognitive impairments and a below average IQ at three years old. Now at 13, Caroline displays a great deal of intelligence. Musical Theatre is one of her favorites in school; she plays the Trumpet and delights in musical therapy. She is also tackling school spelling bees and seventh grade long division. Caroline strikes their mom as a sweet girl, but her mom worries about her ability to live independently as an adult. Nevertheless, Riley-Hall remains optimistic. “It appears at this point, she will always need to be supervised. But she has taught me that anything is possible, so we keep trying and hoping,” said Riley. Her children have always been a part of the general education classroom. “Inclusion is not just helpful, it’s necessary,” says Riley-Hall in her book. Taking part in mainstream education helps autistic children develop social skills from their peers, which they wouldn’t have ordinarily developed in therapy. Finding the proper educational support from teachers and modifying the curriculum if necessary is imperative. Most importantly, the best way to help children reach their highest potential as well as uncover their gifts is by accepting the children for who they are. “Autism is a part of who my children are. I believe in helping them in the area of education and giving them unconditional love,” the Author said. Parenting Girls on the Autism Spectrum gives readers a glimpse into the autistic mind, ironing out common misconceptions associated with the disorder—one of those misconceptions is that autistic children are detached. The Author says Caroline had a speech delay, but she recalls moments from her toddler years in which Riley-Hall had thought she was unaware. In their baby years, Lizzie and Caroline’s personalities were like night and day. A six pound one ounce baby Lizzie would often stare skeptically, while Caroline was so independent and energetic that she would climb like an acrobat–all the characteristics of ordinary children. She also guides parents through adolescent years, covering treatments and interventions, how to handle bullying, hygiene, and social problems. She writes a section on early symptoms and causes, a hotly debated topic. She also warns parents of the common mistake of treating children on an impulse, such as seeking Internet therapies. “Parents have to be cautious, so they don’t do anything risky. That’s why it’s important to have a good relationship with your pediatrician,” said Riley-Hall.